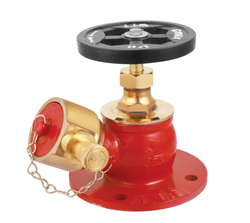 We are the prominent manufacturer, exporter and supplier of a wide array of Fire Hydrant Valve. The offered valves are manufactured using the finest grade basic material and latest techniques. Durability, robust construction, dimensional accuracy and high efficiency are some of the salient features of these fire hydrant valves. Apart from this, these products are quality tested on well-defined parameters in order to ensure their flawlessness. Clients can avail these rivets from us at market leading prices. 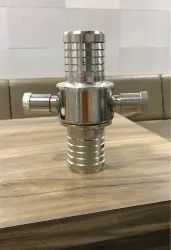 These fire hydrant valves are used in many applications which constitutes of a flange that provide a powerful flow of water. 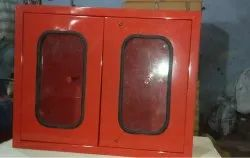 Our range of Fire Hydrant Valves can be customized as per the needs and various specifications of the clients. We are committed towards maintaining our entire product quality at any cost. 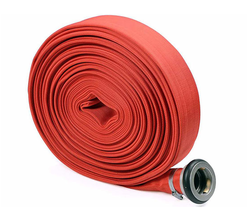 Our offered ranges of Fire Sleeve Hose are quality tested on different industrial parameters. We own an expertise and vast experience in this domain and offer our clients only quality assured range of products. Our product range is highly appreciated amongst customers for its excellent quality and optimum finishing. We deliver our products using customized packaging. 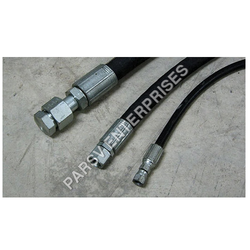 Our company has earned accolades in offering Hydraulic Spiral Hose to the clients. Hydraulic Spiral Hose is manufactured by optimum grade material and latest technology under the knowledge of adroit expert professionals. This product is praised by clients for owning remarkable characteristics. Offered range can be avail in varied specification as per need of valuable clients. This product is perfect for varied application area. Offered range is checked stringently on many quality stages before final delivery. This product is widely demanded by valuable clients. Hydraulic Spiral Hose offered can be made available with wire spiral middle pressure hose with high temperature working support. 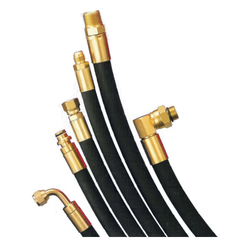 Further, the multiple wire spiral also makes these hoses provide for consistent performance. Some of its features include offering high pressure working support; tube construction using black, smooth EPDM material; having superior water resistance; high tensile steel wire braid finish; use of superior corrosion and abrasion resistance rubber finish; temperature range of -40℃ to 220℃ and others.